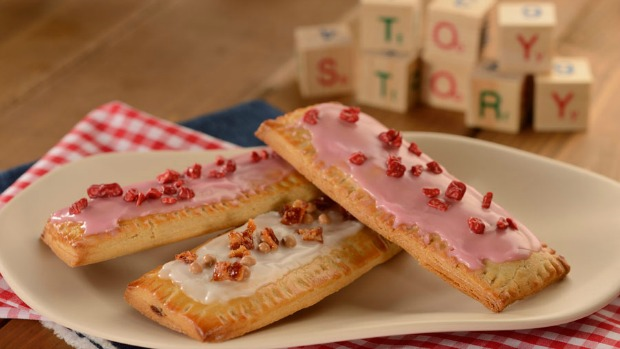 Experience the joy of being a toy this June at Disney's Hollywood Studios! Toy Story Land Opening Soon! Disney attraction, "Toy Story Land "
Prepare to "shrink" to the size of a toy in Andy's back yard. Woody, Jessie, Buzz, and Andy's other cherished toys will join you here. 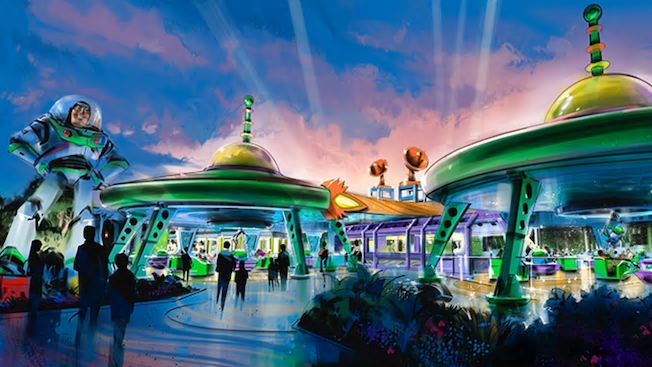 Highlights include; Slinky Dog Dash roller coaster ride, Alien Swirling Saucers galactic play set complete with little green aliens on flying saucers and a new carnival game box boasting "Toy Story Mania" with a variety of imaginative fast-paced games. Hungry for a snack, check-out Andy's lunch box featuring old fashioned meals including soda floats. Toy Story Land is filled with fun toys, crayons, cooties, green army men, Rubik's cubes, tinker toys, and other fun recaps from the past. Which attraction are you the most excited to see at Toy Story Land? Share with us on Facebook! Ride and blast moving targets in this midway-style, 4D shooting game, featuring all of your "fav" characters from the movie! Take the whole family for a crazy ride on a Slinky Dog! 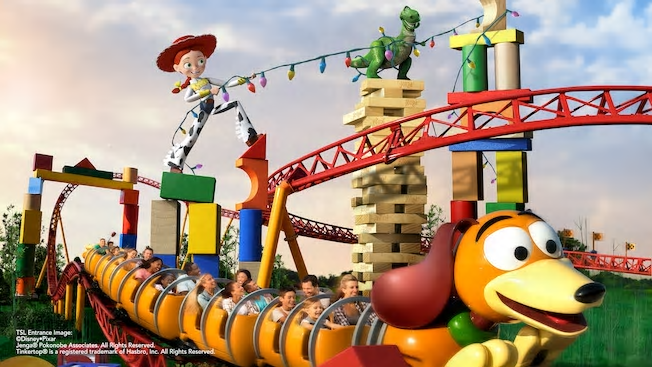 Travel across Toy Story Land and experience thrilling twists and turns sure to delight everyone in your group. Blast off on a toy rocket set for an interstellar romp. Hang on as the Aliens take you for a spin through space. Andy's turned his lunch box into a walk-up window serving old fashioned tasty eats and treats, sure to lasso your hunger! 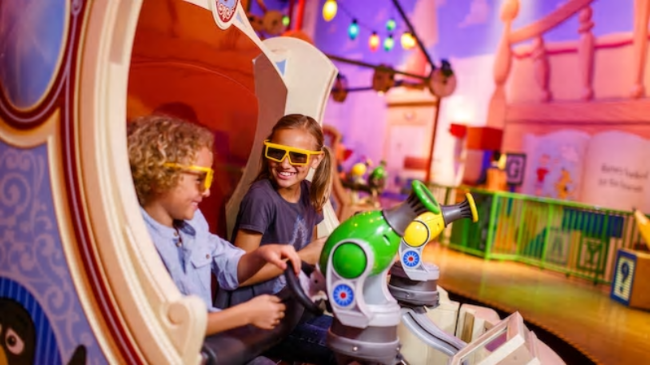 Take aim at Toy Story Land this summer! It’s gonna be the rootin’-est, tootin’-est time ever, and (even better) it's located only a few short minutes from your Elite Vacation Home! Come, stay and experience the thrills and excitement of Orlando's World Class Theme Parks and the luxury and value of an Elite Vacation Home!